The Hamilton Tiger-Cats have already mixed things up heading into the off-season with the promotion of Orlondo Steinauer into the head coaching role as June Jones will step down and focus as the offensive coordinator for one of the most exciting units to watch this past season. In 2018, the Tabbies finished the season with an 8-10 record, finishing second in the East Division. After dominating the BC Lions in the Eastern Semi-Final before falling victim to a 2018 sweep to the Ottawa REDBLACKS in the Eastern Final. The welcoming party of Jeremiah Masoli as a starting quarterback in the Canadian Football League resulted in the sixth-year man being a finalist for the Most Outstanding Player award in November, ultimately falling to the eventual Grey Cup champion in Bo Levi Mitchell. Nonetheless, Masoli’s 5,000-yard season paired with the offensive-mind of June Jones made the Tiger-Cats one of the most exciting teams to watch in 2018. As 2019 is still fresh in the early days of the calendar, the Tiger-Cats are faced with a plethora of key-names on their pending free agents list that will be needing to get re-signed if TigerTown has any hopes of seeing them back in the Black and Gold when June rolls around. 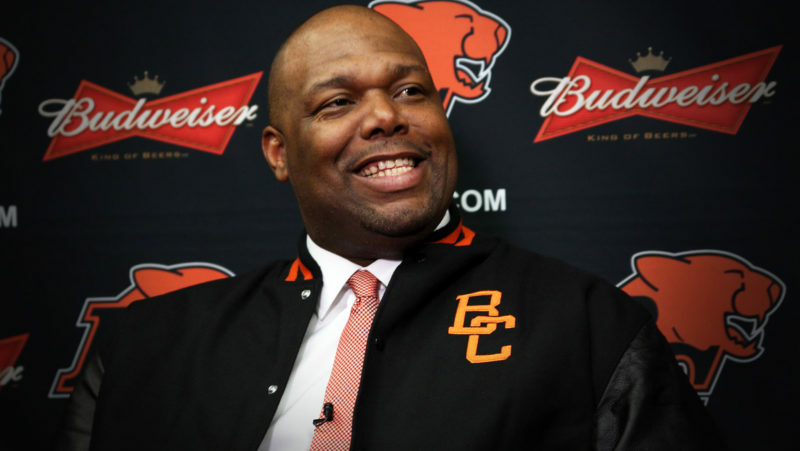 Since being named the general manager of the Hamilton Tiger-Cats in 2016, Eric Tillman hasn’t been faced with the similar success that he found in the early-goings of his career. His last of three Grey Cups came back in 2007 as the GM of the Saskatchewan Roughriders, and while he can be credited to bringing in players like Larry Dean, Jalen Saunders, and Alex Green, as well as bringing back Delvin Breaux and Terrell Sinkfield to the Tiger-Cats organization, the heat could be on for Tillman in 2019 to bring the Tiger-Cats their first Grey Cup championship since 1999. 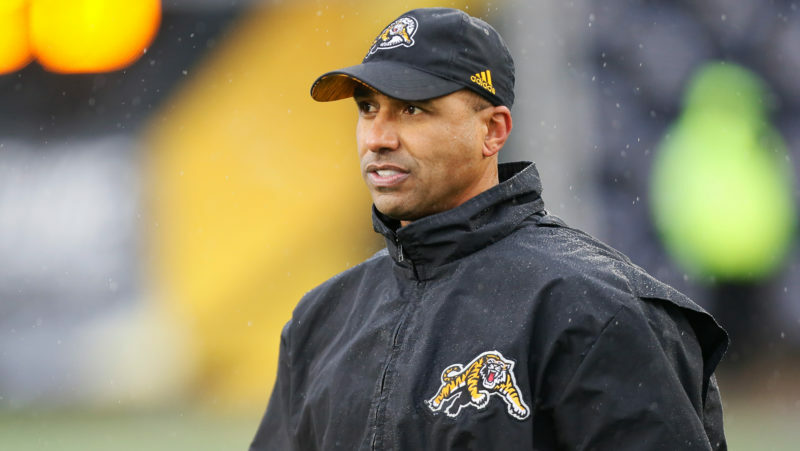 After being named the 26th head coach of the Hamilton Tiger-Cats back on December 3, 2018, after June Jones stepped down as the head-man, Orlondo Steinauer finally received the title that eluded him for so long. 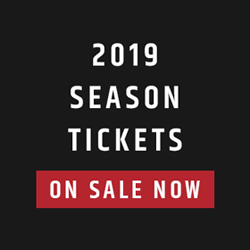 2019 will be exciting to watch for the city of Hamilton and Ticats fans across the country as Steinauer will hope to implement a similar style that allowed him to help Fresno State to turnaround their program and post a 10-4 record in Steinauer’s lone-season as defensive coordinator there. in 2018, the former CFL All-Star safety re-joined the coaching ranks in Hamilton as the assistant head coach under June Jones, leading to Jones recognizing the knowledge and expertise. Jones will retain his role as the offensive coordinator of the Ticats, which will keep the high-tempo offence in Hamilton projected as being on the of the more exciting units to watch next season while Steinauer can overlook the team as a whole, yet still contribute to the defensive side of the playbook with whomever the Ticats elect to name their defensive coordinator. Hamilton’s faced with having the second most number of pending free agents in the East Division, and with that they have a large number of impact players from the past few years in need of new contracts. Otherwise, they’ll be hitting the open market when February rolls around. 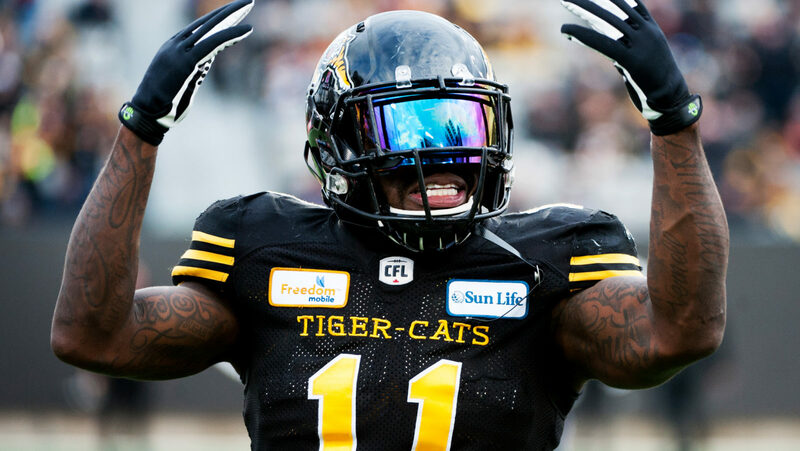 While Don Unamba is listed as a defensive back, he played the majority of the 2018 season playing as the strong-side linebacker in the Ticats defensive unit, alongside Larry Dean and Simoni Lawrence. All of which are currently in need of a new contract. Taking a step back into the Black and Gold’s secondary, Hamilton has a few defensive backs listed as pending free agents. After returning from his stint with the NFL’s New Orleans Saints, Delvin Breaux signed a one-year contract and will be set for a new contract. The only question is whether that’s from the Ticats or if he’ll be dawning some new threads come June. Richard Leonard, after leading the league in interceptions in 2017, dipped slightly in his production this past season. A hometown-favourite will also be needing a new contract as Mike Daly’s contract is set to expire. On the offensive side of the ball, June Jones will get much of his offensive line back. The Ticats will just be needing to piece together a new deal to bring Mike Filer back, which is likely to happen if they’re expecting to ensure the chemistry stays intact across the front-five and with the centre-quarterback relationship. Not a single member of the Tiger-Cats backfield is under contract heading into the 2019 season. Alex Green, Mercer Timmis and Sean Thomas-Erlington may be the likely trio to get their contracts extended. Green was by far the more productive out of the backfield while both Timmis and Thomas-Erlington provided national depth, as well as having their own breakout games throughout the year. The biggest pending free agent names on the Ticats offence would be none other than Brandon Banks, who has been a staple in the pass-attack since June Jones took over as head coach a year and a half ago. 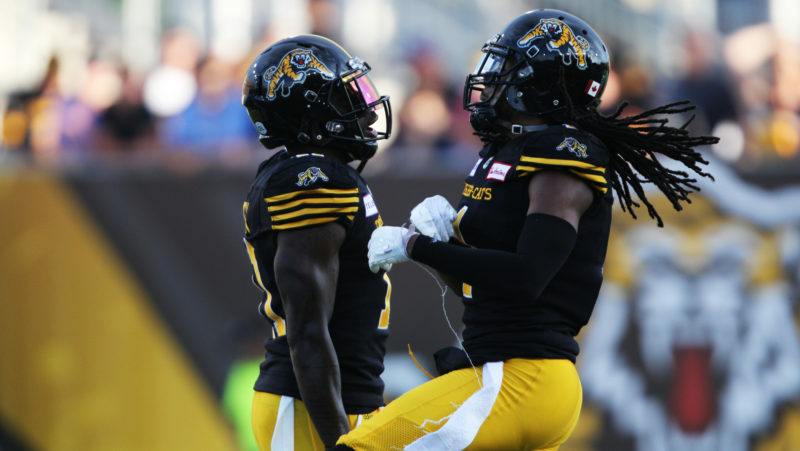 The emergence of Jalen Saunders in the Canadian game has aided in the Ticats having one of the most exciting receiving corps in the Canadian Football League. The two could very well be expected to be back with the Ticats but will be coming off of season-ending injuries. The Canadian content on the Tiger-Cats has been on the cusp of being stellar. From the 133 yards and two touchdown performance of Mercer Timmis in Week 2 against Edmonton to Mike Daly having his best season capped with an interception returned for a touchdown, Eric Tillman has enjoyed the development of his Canadian talent. Perhaps the biggest questions surrounding the Canadian talent of this squad may lie in the cases of Mike Jones and Lirim Hajrullahu. Jones finished the season as the team’s third-best receiver in terms of final statistics. Despite that, it was apparent that Jones faced his struggled throughout the year with regards to his consistency in make the catch in crucial moments of games. While he did finish the season kicking 85.2 per cent of his field goal attempts, Hajrullahu missed five convert attempts in 2018. He didn’t miss that many since his final season in Winnipeg in 2015 as he then went on to be recognized as one of the league’s more consistent kickers in Toronto. While Canadians such as Mike Filer and Mike Daly seem like more certain re-signees due to their consistency, fellow Canucks like Jones and Hajrullahu may find themselves on the hot seat. The main two quarterbacks will remain under contract, including starter Jeremiah Masoli. Masoli enjoyed his first full season as a starting quarterback in the CFL since coming into the league back in 2013. Masoli topped the 5,000 passing yards mark, being the first Ticat to do so since Henry Burris did in 2012. Dane Evans showed promise in the playing time he did receive, acting as a reliable backup to Masoli in his first year in the league. Not a single running back for the Tiger-Cats is under contract. Of the backs listed on the Hamilton roster, it seems that the more likely names to be brought back with contracts would be those of Alex Green, Mercer Timmis and Sean Thomas-Erlington. Green carried the bulk of the running duties once he returned from an injury that sidelined him for the first bit of the season. As for Timmis and Thomas-Erlington, the two bring national depth and have proven to be able to handle starting duties if needed with some breakout performances in 2018. The sudden emergence of Bralen Addison in the final quarter of the season was a direct result of the injury bug that plagued the Hamilton Tiger-Cats receiving corps, similar to that of the Calgary Stampeders. The good news is Addison is under contract, which gives Hamilton some breathing room as he joins Luke Tasker as pass-catchers who will definitely be back in 2019. Tasker enjoyed his third 1,000-yard season in four years, taking on much of dependable work as injuries took their toll on his teammates. The bad news, however, is the series of players who are listed as pending free agents. Brandon Banks and Jalen Saunders are quite easily the biggest of them in terms of their impact in 2018. Chris Williams was acquired in the trade with Montreal which sent Johnny Manziel to the Als and didn’t spend very much time with the Tabbies before a season-ending injury. Terrence Toliver, although a big target, just wasn’t able to find consistency in the offence with Banks, Saunders and Tasker taking much of the looks. As for Terrell Sinkfield, joining the team in the midst of all the injuries, he appeared to struggle in gaining any chemistry with Masoli, opening the opportunity for a player like Addison to really surge ahead. The situation surrounding Ryker Mathews is unsure as according to 3 Down Nation, the international offensive lineman has been entertaining interest south of the border. Aside from that, the Ticats shouldn’t have much issue in re-signing their pending free agents at the linemen positions. Mike Filer may be the more crucial piece in ensuring chemistry is maintained with him being the middle-man of a group that gave Masoli time to be league’s second-ranked passer. An injury kept Justin Vaughn out of the pass-rush rotation for much of the year after making key contributions on defence his rookie season just one year ago. Even without re-signing their pending free agents at this position, the Ticats look to have a strong core of guys. Anyone of these guys could be re-signed, but with Tracy yet to complete a full 18-game season, at 31 years of age, the fan favourite may be the odd man out if it were a matter of age and numbers. Two of the team’s most identifiable players are set to be free agents if the Ticats can’t negotiate new deals with Simoni Lawrence and Larry Dean. 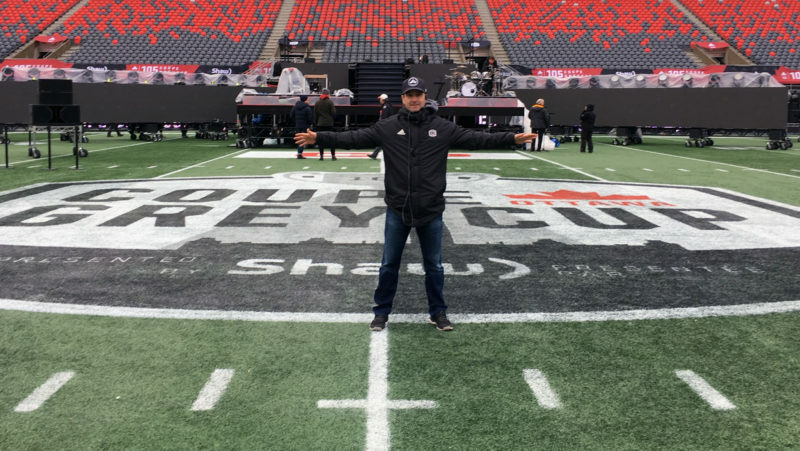 The tantrum has patrolled the middle of the field for the Black and Gold’s defence together since Dean joined the Ticats in 2016. Together, they have combined for 500 tackles over the course of those three years, with Dean being the more productive of the two. Delvin Breaux was arguably one of the best lockdown corners in the league this year since re-joining the Ticats after his stint in the NFL. It would be a setback for sure if Hamilton was unable to re-sign him. While Don Unamba continues to be listed as a defensive back, much of his impact was made as a linebacker for the Ticats. Richard Leonard missed a quarter of the season due to injury but was just one year removed from his standout rookie season where he registered seven interceptions. There once was a time when Courtney Stephen was starting ahead of Mike Daly as the safety of the Ticats secondary. A hard-nosed style from Daly, however, had him taking the role while Stephens became a key contributor to special teams. With both as nationals, it seems tough to think neither of them would receive extensions prior to February.